Take us in Thy Parental Arms, Raise us from the denseness of the earth. Open our hearts toward Thy Beauty, Illuminate our souls with Divine Light. Use us for the purpose that Thy Wisdom chooseth, And guide us on the path of Thine Own Goodness. And we look for Thy blessings in the future. As one single brotherhood in the fatherhood of God. Send us the Peace of Thy divine Spirit, And unite us all in Thy Perfect Being. 1) The Arabic word saum (or sawm) means: abstaining, fasting, being still, keeping silence. 2) The Arabic word khātm means: concluding, finishing, sealing. The "kh" at the beginning of the word is pronounced like the ch in the Scottish word loch. Three similar sounding Arabic words are: khatm (end, conclusion, finish, seal), khātm (concluding, finishing, sealing) and khātam (the best, the most perfect, the last, the conclusion, the final portion). 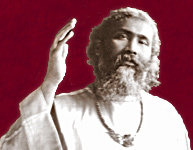 Since these words all sound essentially the same to those who are not proficient in Arabic (such as Murshid Inayat Khan's students who transcribed his words), it is not known for certain which of these words Murshid actually intended, but the transliteration as khātm is now being used in new publications.